The Voice Bulgaria (Bulgaria) er nå overført til fri luft (12118.00MHz, pol.H SR:30000 FEC:5/6 SID:131 PID:4101[H.265]/4102 aac Bulgarian). The Voice Bulgaria is encrypted again after being temporarily unencrypted on 12118.00MHz, pol.H SR:30000 FEC:5/6 SID:131 PID:4101[H.265]/4102 aac Bulgarian (Conax). 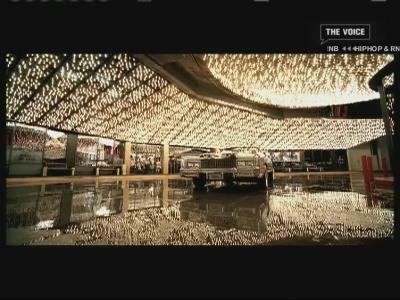 The Voice Bulgaria i DVB-S2 på 12118.00MHz, pol.H SR:30000 FEC:5/6 SID:131 PID:4101[H.265]/4102 aac Bulgarian (Conax). Ny frekvens for The Voice Bulgaria: 12524.00MHz, pol.H (DVB-S2 SR:30000 FEC:1/2 SID:315 PID:1098[MPEG-4]/1099 Bulgarian- FTA). Bulsatcom: Ny frekvens for The Voice Bulgaria: 12271.00MHz, pol.H (DVB-S SR:30000 FEC:7/8 SID:1015 PID:848/849 Bulgarian- FTA). The Voice Bulgaria is back on 11900.00MHz, pol.V SR:27500 FEC:7/8 SID:315 after a break ( PID:1098[MPEG-4]/1099 Bulgarian - FTA). Ny frekvens for The Voice Bulgaria: 11900.00MHz, pol.V (DVB-S SR:27500 FEC:7/8 SID:315 PID:1098[MPEG-4]/1099 Bulgarian- FTA). En ny kanal har startet: The Voice Bulgaria (Bulgaria) i DVB-S2 on 12456.00MHz, pol.H SR:30000 FEC:2/3 SID:425 PID:1928[MPEG-4]/1929 Bulgarian - BulCrypt. En ny kanal har startet: The Voice Bulgaria (Bulgaria) i DVB-S2 on 12322.00MHz, pol.H SR:27500 FEC:3/4 SID:5 PID:1200/1210 Bulgarian - FTA. The Voice Bulgaria switched to Intelsat 904 satellite at 11509.00MHz, pol.V (DVB-S2 , 11509.00MHz, pol.V SR:30000 FEC:2/3 PID:1200/1210 Bulgarian). En ny kanal har startet: The Voice Bulgaria (Bulgaria) i DVB-S2 on 12590.00MHz, pol.V SR:3750 FEC:3/4 SID:2 PID:300[MPEG-4]/310 Bulgarian - FTA. Vivacom: Ny frekvens for The Voice Bulgaria: 11509.00MHz, pol.V (DVB-S2 SR:23333 FEC:2/3 SID:70 PID:1200/1210 Bulgarian- FTA). Ny frekvens for The Voice Bulgaria: 12568.00MHz, pol.V (DVB-S2 SR:8333 FEC:2/3 SID:70 PID:500/510 Bulgarian- FTA). Ny frekvens for The Voice Bulgaria: 11470.75MHz, pol.V (DVB-S SR:29950 FEC:7/8 SID:654 PID:3001[MPEG-4]/3002 Bulgarian- FTA). Ny SID for The Voice Bulgaria on 11595.25MHz, pol.V: SID:954 ( SR:30000 FEC:5/6 PID:3601[MPEG-4]/3602 Bulgarian - FTA). En ny kanal har startet: The Voice Bulgaria (Bulgaria) i DVB-S2 on 11595.25MHz, pol.V SR:30000 FEC:5/6 SID:904 PID:1401[MPEG-4]/1402 Bulgarian - FTA. En ny kanal har startet: The Voice Bulgaria (Bulgaria) i DVB-S2 on 10889.00MHz, pol.H SR:30000 FEC:3/4 SID:18 PID:1018[MPEG-4]/2018 Bulgarian - Panaccess. The Voice Bulgaria er nå kryptert i DVB Scrambling kode (11881.00MHz, pol.V SR:30000 FEC:3/4 SID:18 PID:1018[MPEG-4]/2018 Bulgarian). The Voice Bulgaria (Bulgaria) er nå overført til fri luft (11881.00MHz, pol.V SR:30000 FEC:3/4 SID:18 PID:1018[MPEG-4]/2018 Bulgarian). The Voice Bulgaria is back on 11881.00MHz, pol.V SR:30000 FEC:3/4 SID:18 after a break ( PID:1018[MPEG-4]/2018 Bulgarian - DVB Scrambling). En ny kanal har startet: The Voice Bulgaria (Bulgaria) i DVB-S2 on 11881.00MHz, pol.V SR:30000 FEC:3/4 SID:18 PID:1018[MPEG-4]/2018 Bulgarian - DVB Scrambling. Ny frekvens for The Voice Bulgaria: 12514.00MHz, pol.V (DVB-S2 SR:8570 FEC:3/4 SID:4 PID:42/41 Bulgarian- FTA). Vivacom: Ny frekvens for The Voice Bulgaria: 11632.00MHz, pol.V (DVB-S2 SR:30000 FEC:3/4 SID:36 PID:178/179 Bulgarian- FTA). En ny kanal har startet: The Voice Bulgaria (Bulgaria) i DVB-S2 on 11675.00MHz, pol.V SR:5830 FEC:2/3 SID:4 PID:42/41 Bulgarian - FTA. Bulsatcom: Ny frekvens for The Voice Bulgaria: 12524.00MHz, pol.H (DVB-S SR:30000 FEC:7/8 SID:1015 PID:848/849 Bulgarian- FTA). Bulsatcom: Ny frekvens for The Voice Bulgaria: 12647.00MHz, pol.H (DVB-S SR:30000 FEC:7/8 SID:15 PID:912/913 Bulgarian- FTA). Canal Digital Nordic: En ny kanal har startet: The Voice Bulgaria (Bulgaria) i DVB-S on 12169.00MHz, pol.H SR:28000 FEC:7/8 SID:1924 PID:525/732 Bulgarian - FTA. Bulsatcom: En ny kanal har startet: The Voice Bulgaria (Bulgaria) i DVB-S on 12688.00MHz, pol.H SR:30000 FEC:7/8 SID:15 PID:912/913 Bulgarian - FTA.